Juventus didn’t waste time and started the transfer window on a roll, securing the signings of Sami Khedira, Paulo Dybala and Mario Mandzukic. The German international was signed on a free after his contract with Real Madrid expired this summer. The midfielder didn’t enjoy a lot of playing time this season but was instrumental in Germany’s title winning run in the World Cup last summer, featuring in five matches. The 28 year old will be an important addition to Juventus’ midfield, which suffered the departure of Andrea Pirlo to New York City FC. 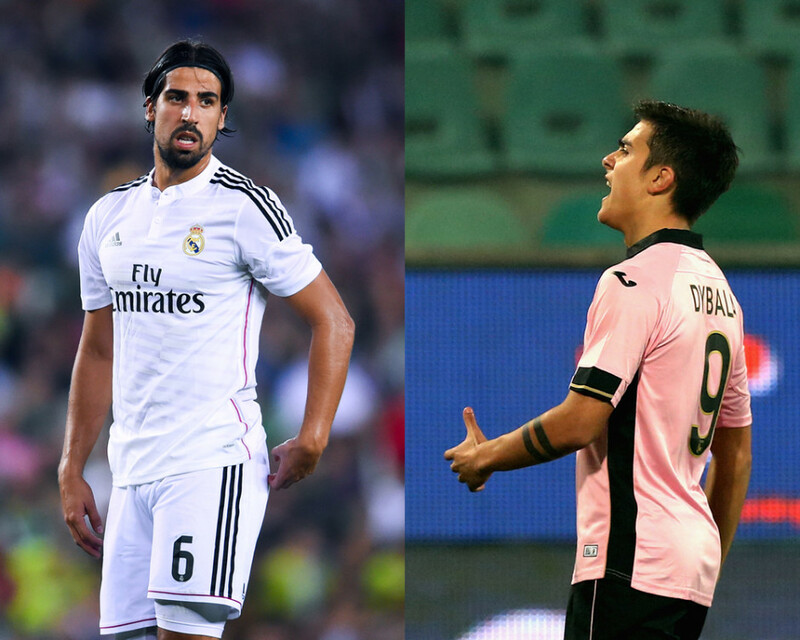 Khedira’s versatility could be very useful for a team that already has one of the finest midfields in Europe. His preferred position is as a box to box midfielder, but he can also play as a defensive midfielder, covering for the defense, or even as a deep lying playmaker. Paulo Dybala enjoyed his breakthrough season at Palermo in 2014-15, forming a deadly partnership with fellow countryman Franco Vázquez. He was one of only three players to reach double digits in both goals and assists this season (the others being Domenico Berardi and his aforementioned teammate, Franco Vázquez). According to WhoScored, Dybala averaged 1.7 key passes, 0.3 assists and 2.7 dribbles per game, so he will most likely be the forward who’ll have the biggest responsibility when it comes to creating goal scoring opportunities for the team. Despite being followed by some of the richest clubs in Europe, that offered him huge contracts, he chose Juventus as his next destination. The 21 year old is the most expensive signing of the club in the Agnelli-Marotta era, as he was purchased for a fee of €32 million + bonuses. Not only that, he’s also the fourth most expensive signing in the history of the club, only behind Gianluigi Buffon, Pavel Nedved and Lilian Thuram. The former Instituto de Córdoba player will have the difficult task of replacing Carlos Tévez, who left the Turin giants to return to boyhood club, Boca Juniors. He will share that task with Mario Mandzukic, the Croat international was bought for €18 million following a successful season for Atlético Madrid, in which he played 43 matches and scored 20 goals, including the one that gave his team the Supercopa de España title. The former treble winner (29 years old) will be by far the most experienced striker of the squad this season, as Dybala, Morata, Zaza and Coman are all under 25 years old, and will have to step up and fill the hole left by Tévez, who lead the attack the past two seasons. Zaza will be another important addition to the attack this season. The striker was sold to Sassuolo last summer, but Juventus kept a buyback clause of €15 million that was activated this summer. He will take Matri’s place in the squad as his loan ended and he’ll return to AC Milan for the following season. On the other hand, Domenico Berardi, who was co-owned by Juventus, was fully acquired by Sassuolo, but the club kept a buy back clause to buy him back in 2016. Another player owned by Juventus that is coming back this season is Daniele Rugani. The young center back had a great season on loan at Empoli, playing every single minute (being the only outfield player to do so this season) and not being booked once. Giorgio Chiellini turns 31 this season, while Andrea Barzagli is 35 and has suffered constant injury troubles the past seasons, so the 21 year old will add some much needed youth at the back. Leonardo Bonucci said about him: “He’s a player of great promise and is such a good professional. We already noted his quality when he was in the Primavera youth team. He doesn’t pull back and is humble, so over these last few years his growth at Empoli has been exponential”. In terms of departures, the aforementioned Andrea Pirlo and Carlos Tévez will be the biggest losses for the team. The Italian playmaker suffered a few injuries this season and his influence in the team wasn’t as big as when he first joined the Bianconeri, but his leadership on and off the field will be missed. A bigger blow will be Tevez’ loss, the Argentinean was Juventus’ best player the past two seasons, scoring 50 goals in 95 games, many of them crucial, like the brace against Borussia Dortmund away or the winning goal against Real Madrid at home in the recent Champions League run. Apart from the goals, Tevez was the main source of creativity in Juventus’ attack and an important presence in the locker room. A far less important departure is the one of Simone Pepe, who barely played competitive football in the past few seasons, being constantly sidelined with injuries. Two players that look that could be in the way out are Fernando Llorente and Angelo Ogbonna. The Spanish striker enjoyed a very good first season under Antonio Conte, but never fit in Allegri’s system and was relegated due to the sensational form of fellow countryman Álvaro Morata. The defender never earned a first team place and was mainly an alternative to Barzagli, Bonucci and Chiellini for the past two years, but despite some good performances never looked convincing and the arrival of Rugani and Allegri playing with only two center backs (unlike Conte, who used three) will relegate him even more. 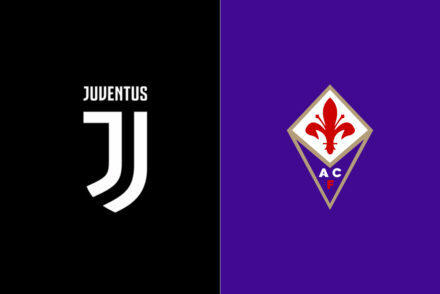 Despite the prolific transfer window so far, there are a few additions Juventus could make to the squad, particularly the full back positions. Patrice Evra had a great season, but he’s 34 years old and doesn’t have many years left at a top level, and Stephan Lichsteiner’s level dropped this season compared to the previous ones, and while not as old as the French, he turned 31 this season and his stamina, which is his biggest attribute, will start to suffer. Martín Cáceres is another alternative on the right side, but his constant fitness troubles don’t make him a reliable player. On the left, Ricardo Rodríguez would be a player who could strengthen Juventus and potentially replace Evra. The Swiss international had a great season with Wolfsburg, reaching the Europa League quarter finals and winning the German Cup, aside from having important international experience, having played in Switzerland’s four games in the World Cup in 2014. He was included in WhoScored’s team of the season in the Bundesliga, and was ranked as the fifth best player in the league the past season. He averaged 1.4 tackles, 2.3 interceptions and 2.3 clearances per game, aside from that he also proved to be an offensive threat, scoring 9 goals, assisting four and averaging 1.7 key passes and 2.7 dribbles per game. He’s undoubtedly one of the most promising defenders in Europe and would be the perfect addition for the Bianconeri. Another alternative could be Layvin Kurzawa, the Monaco player enjoyed a great season in the Champions League where his team reached the quarter finals losing precisely to Juventus, and asserted himself as one of the most promising left backs in the world after a solid 2013/2014 season. On the right side, Sime Vrsaljko could be a very interesting option. The Croat had a very good season playing for Sassuolo, and the club’s great relationship with Juventus could make the player a viable option. Davide Zappacosta is another great alternative; his performances this season caught the eye of many serie A clubs and Liverpool. The Atalanta right back had a very good performance in U-21 Euros, despite the Azzurri’s disappointing performance. Despite this, Juventus answer must be lying inside the squad already, as Mauricio Isla will return to the club after a year on loan at Queens Park Rangers. The Chilean international failed to make an impact in his two seasons at Juventus and never replicated the form he showed at Udinese, but he was impressive with Chile in both the World Cup and the Copa America. Maybe Allegri can get the best of him and give him the confidence necessary for him to show the level he has with La Roja. The other position that Juventus might need to reinforce this summer is the trequartista role. Allegri gradually switched from the 3-5-2 of the Conte era to his preferred 4-3-1-2, but he didn’t really have in the squad the player to play behind the strikers. That role was usually given to Vidal or Pereyra depending on the match, and while both usually delivered, it’s not the preferred position of either of them. The former AC Milan coach publicly admitted liking Oscar and said that he was on the top of his wishlist, however, Chelsea doesn’t seem interested in selling the Brazilian. A named that was recently linked to Juventus is the one of Real Madrid midfielder Isco. 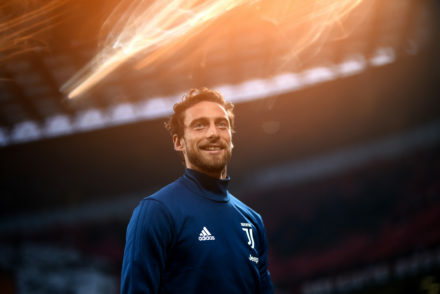 The Spaniard seems to be the ideal player to fit in the role that Allegri is looking for, but his signing seems more a dream than a realistic target. The midfielder is allegedly unhappy at Real Madrid but it’s hard to imagine him wanting to leave, he managed to feature 45 for the Spanish giants this season, despite competing for a spot with players like James Rodriguez and Gareth Bale. He formed a great partnership with the Colombian, at times relegating the former Tottenham player to the bench. However his signing would maybe the perfect one for the team and the one able to ensure the club’s success last season in the Champions League was no fluke and it stays among Europe’s elite for years to come.